After a great college career at quarterback, Greg Ward, an American football player was drafted by the Super Bowl LII champions as an undrafted free agent in 2017 to catch passes in the wide receiver position. 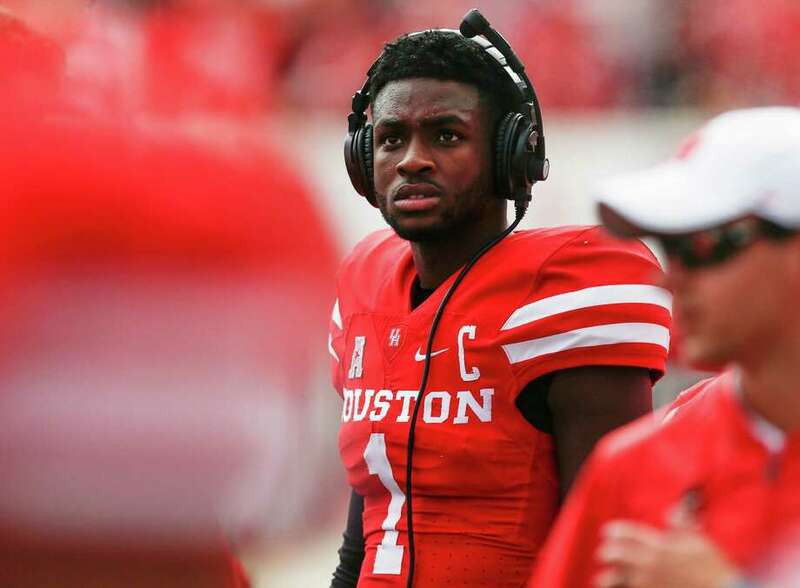 He played college football for the Houston Cougars as a quarterback but switched to the wideout position to raise his prospect in the NFL Draft. Ward spent his rookie season on the Eagles’ practice squad, learning a new position from top receivers such as Alshon Jeffery, Nelson Agholor as well as gathering every bit of information needed for his new task. However, he did not just learn how to play and figure out how to be a receiver from these elites but also picked up how to apply what he’s learned to his game. As a competitor, he would have loved to play in his rookie season but did not get a chance. Just being in a football team though, an NFL team at that and a Super Bowl champion team, to say the least, was more than he would have asked for even as he keeps in mind the need to make a mark in the league. He was born Gregory Mario Ward Jr. on July 12, 1995, in Tyler, Texas where he was also raised. In John Tyler High School where he graduated from in 2013, Ward made quite a mark, overcoming the shortcoming of his size and is remembered alongside great Houston quarterbacks such as Case Keenum. As a high school athlete, he was versatile and played both wide receiver and quarterback. In his sophomore year, he played wide receiver catching 53 passes for 667 yards with eight TDs. He played quarterback in his final two seasons; passed for 7,798 yards, 71 touchdowns, and 10 interceptions and rushed for 2,073 yards with 31 touchdowns. Ward also led his team to Class 4A semifinal appearances in 2011 and 2012 and was rated a three-star recruit at the end of his high school career. Beset by his size despite playing an impressive career behind centre, no Big 12 schools came for him and his best scholarship offer came from only two schools, Memphis and Houston but he chose the latter to stay closer to home. A quarterback-receiver combination, he moved on to an equally impressive collegiate phase – throwing more touchdown passes than Carson Wentz and recording a higher career passer rating than Nick Foles. Although he played the two positions in his first two college seasons, Ward took over the starting quarterback position towards the end of his sophomore year and continued therein for the rest of his career. In his junior year, he was named the MVP of the 2015 American Athletic Conference Football Championship Game after rushing for 148 yards and two touchdowns and led the team to a Peach Bowl victory against No. 9 Florida State in December – he was subsequently named Offensive Player of the Game. At the end of his career, he recorded the most rushing yards (2,375) by a quarterback in school history and tied for the most rushing touchdowns (39). He was a candidate for Heisman Trophy and a finalist for the Manning Award given to the nation’s best QB. He switched from throwing passes to receiving them after a standout college career. Probably because of his size which is not very fitting for a prototypical quarterback, Ward deemed a transition from big-time NCAA Division 1 quarterback to a potential NFL wide receiver necessary as he considered it where his future lies. While some scouts and analysts predict he would go undrafted, others viewed him as a potential late-round pick and the rest, the more optimistic ones slated him as either a fifth or seventh round pick. Added to his decorated résumé and unique skill set, his speed was also another factor that caught NFL personnel but his hands, route-running and lack of experience raised the question as to his draftability. Ultimately, Ward went undrafted. After going undrafted in the 2017 NFL Draft, the Philadelphia Eagles signed him as an undrafted free agent on May 11, 2017. Greg Ward spent his rookie season on the practice squad, learning the nuances of his new responsibility in the gridiron. While his father speaks the Word from the pulpit on Sundays and hauls pipe during the week, his mother runs their modest ranch house while teaching her boys to fear God, respect their elders and treat school as a daily opportunity.